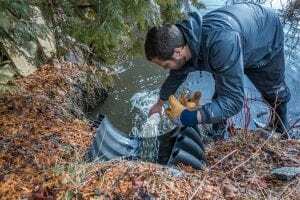 The Ausable River Association (AsRA) and Paul Smith’s College Adirondack Watershed Institute (AWI) have released the 2018 Water Quality Report for Mirror Lake. The report shows that Mirror Lake continues to be negatively affected by road salt and that lack of mixing in the spring, first documented in 2017, remains a problem. » Continue Reading. 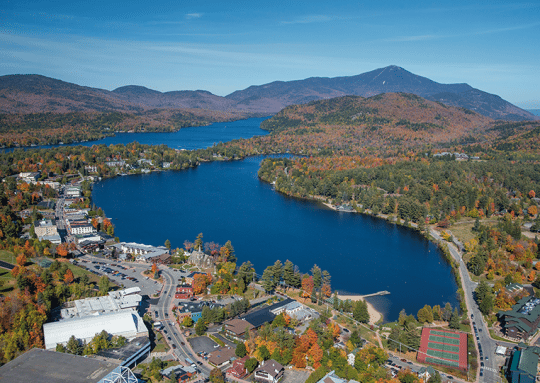 The New York State Department of Environmental Conservation (DEC) is closing the Lake Placid Boat Launch Site on Mirror Lake Drive on April 8, 2019, to replace the deteriorating bulkhead. » Continue Reading. The Ausable River Association (AsRA) is set to host a benefit for Mirror Lake on Thursday, May 31st at The Breakfast Club in Lake Placid. Entry is $30 per person and includes two cocktails and appetizers. All net proceeds go to support the work AsRA is doing to protect Mirror Lake. » Continue Reading. The Ausable River Association (AsRA) and Adirondack Watershed Institute (AWI) have released the 2017 Water Quality Report for Mirror Lake. The lake serves as a focal point for the Village of Lake Placid. For the past three years, AsRA and AWI have been studying the water quality of Mirror Lake with a goal to provide science data for decision making. » Continue Reading. Research and monitoring work on Mirror Lake over the past two and half years by the Ausable River Association has yielded some alarming results. Association Science and Stewardship Director, Dr. Brendan Wiltse, recently presented his research work at the Mirror Lake Water Quality Workshop. Here are a few key findings he presented: » Continue Reading. The Ausable River Association will hold a workshop on Thursday, November 2nd from 1 to 4:30 pm at the Crowne Plaza in Lake Placid to discuss issues related to the protection of Mirror Lake. 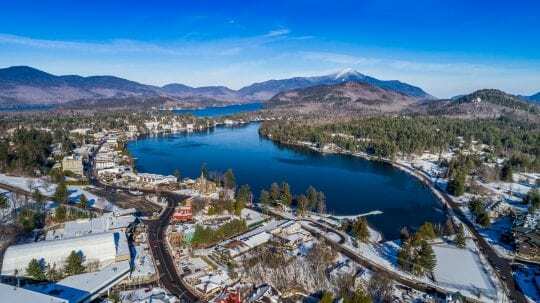 Mirror Lake is the jewel of the Village of Lake Placid and serves as a hub for many recreational activities in the Village and the Town of North Elba. 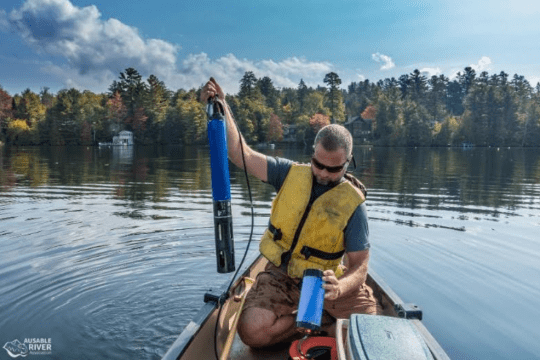 For the past three years, AsRA, in partnership with the Adirondack Watershed Institute (AWI), has been studying the water quality of Mirror Lake. » Continue Reading. 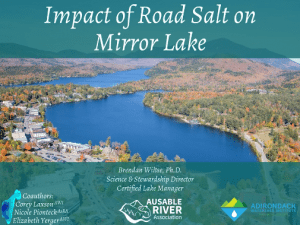 The Ausable River Association (AsRA) in partnership with Paul Smith’s College Adirondack Watershed Institute (AWI) have released the Mirror Lake 2016 Water Quality Report. Over the last two years AsRA has worked with AWI to collect baseline information on the lake. They compiled this information, along with historical water quality data dating back to 1971. Mirror Lake has been enrolled in a variety of water quality monitoring programs over the past 45 years. These range from citizen volunteer water quality monitoring programs to studies conducted by a variety of contractors and researchers. The purpose of this report is to summarize all the available water quality data on Mirror Lake to develop a comprehensive understanding of the current state of the lake. » Continue Reading. 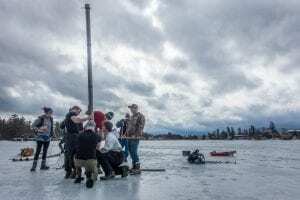 Two years ago a research team from Paul Smith’s College published a paper about the possibility that yellow perch could be native to the Adirondacks, after finding its DNA in sediment from Lower St. Regis Lake that dates back more than 2,000 years ago. Now similar sediment core sampling is being done on Mirror Lake in Lake Placid. In late February Paul Smith’s College students under the tutelage of Paul Smith’s College Professor Curt Stager – who led the original study – teamed up with Ausable River Association Science and Stewardship Director Brendan Wiltse to take sediment samples that will be analyzed for the presence of three fish species: yellow perch, rainbow trout, and lake trout. The group also plans to extract additional samples in the future. The DNA testing will be done by the Adirondack Watershed Institute at Paul Smith’s College. » Continue Reading. The village of Lake Placid will host the 8th Annual Holiday Village Stroll, complete with holiday shopping, family fun, arts and entertainment from Friday, Dec. 9 through Sunday, Dec. 11, 2016. The Holiday Village Stroll weekend includes activities for kids and families such as a skating party, opportunities to visit with Santa, holiday movie screenings at the Palace Theatre, a tree-lighting ceremony, holiday crafts, story time and cookie decorating. » Continue Reading. The US National Fly Fishing Championships begins Wednesday, June 1st, when some of the best anglers in the country check-in at the Lake Placid Olympic Training Center at 7 pm. 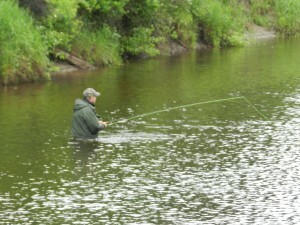 There will be three days of competition for spots on the National Fly Fishing Team. According to event organizer Ken Crane, this is the first year the nationals have come to the area. Two regional qualifiers were held in the area last June. “We have 55 anglers: 11 teams of five guys, at five venues: three rivers and two lakes,” says Crane. “The competitors each get a beat, a section of the river or lake and have a three-hour catch and release session.” » Continue Reading. 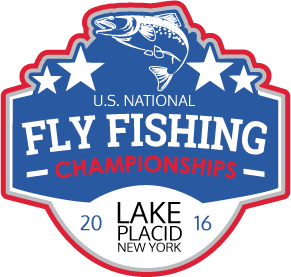 The nation’s best fly anglers will be returning to Lake Placid, Wilmington, Saranac Lake, Redford and Malone, June 1–4, 2016 for the U.S. National Fly Fishing Championships, and organizers are looking for volunteers to assist anglers over the three-day catch-and-release competition. “The event relies on volunteers to record the size and species of every fish caught, and is a great opportunity for avid fishermen to learn from these top anglers and share local ‘intel’, too,” said Ken Crane, event and volunteer organizer. 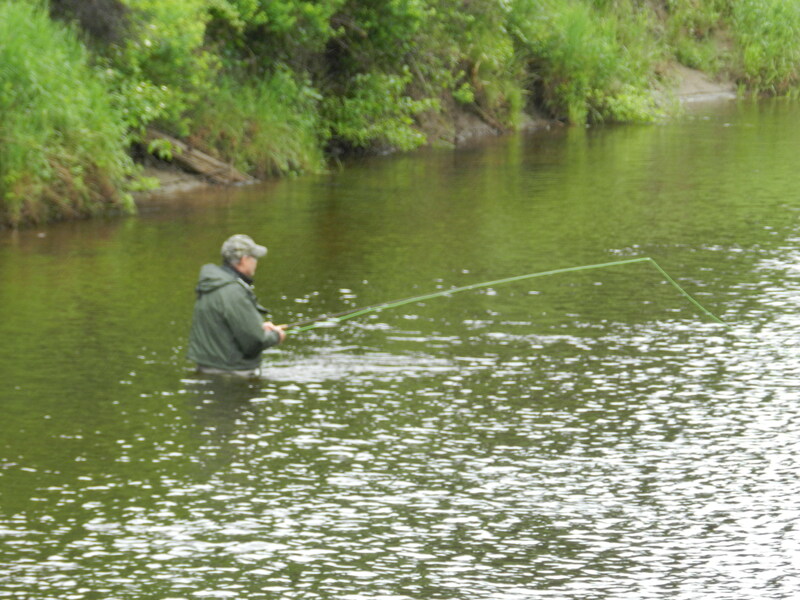 “Anglers will be fishing on the Ausable, Saranac and Salmon Rivers while wading, and Mirror Lake and Lake Colby from boats. No experience is required.” » Continue Reading. 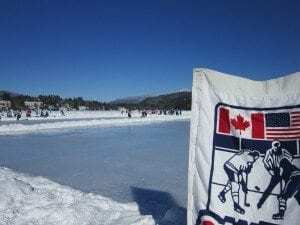 For the 11th year, the CanAm Hockey Tournament has come to Lake Placid to celebrate the spirit of hockey under the backdrop of the Adirondack High Peaks. 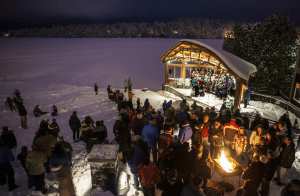 Currently 74 teams are waiting to take to the 20 ice rinks on Mirror Lake this weekend, January 28-31, 2016. 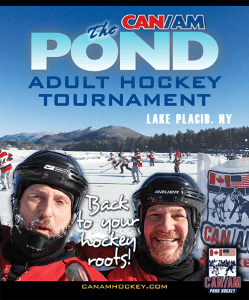 According to Tournament Director Eric Chapman this weekend’s pond hockey match-ups are only open to adults, but spectators have just as much fun watching the players hit the rinks. » Continue Reading. 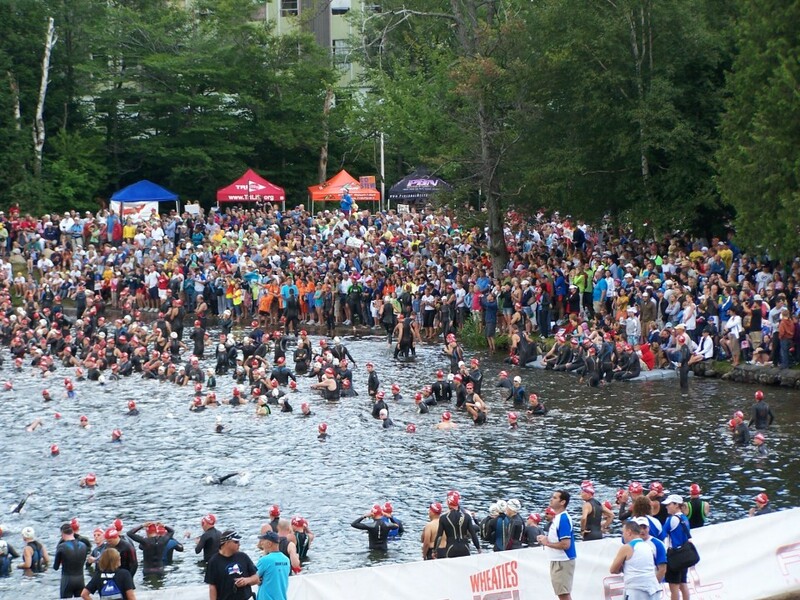 This Sunday, more than 2,800 athletes will compete in the 2013 IRONMAN Lake Placid, one of nearly 30 events in the global IRONMAN Series, is the oldest IRONMAN event in the continental U.S. and features one of the most scenic courses on the circuit. 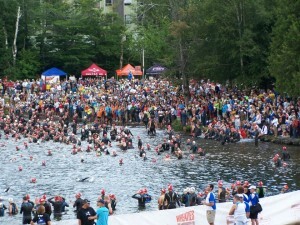 The two-loop swim course takes place in Mirror Lake, followed by a unique transition in the Olympic Speed-Skating Oval. The 112-mile bike route leads athletes along state, county and local roads. The spectator friendly marathon (26.2 miles) run through downtown Lake Placid. The event offers a total professional prize purse of $25,000 and 60 coveted slots to the 2013 IRONMAN World Championship, taking place on October 12 in Kailua-Kona, Hawaii. » Continue Reading. The Adirondack Park Agency (APA) will hold its regularly scheduled monthly meeting at its Headquarters in Ray Brook, NY on Thursday, October 11 and Friday, October 12, 2012. Included on the agenda are set-back and height variances for a project on Mirror Lake, an extension of the Barton Mine wind power tower weather monitoring stations in Johnsburg, an update on the status of Asian clam eradication permits, a discussion of the vulnerability of at-risk species to climate change, and informational presentations on the state land classification process, the use of GIS for recording public trail use data, and invasive species in Lake George and Lake Champlain.